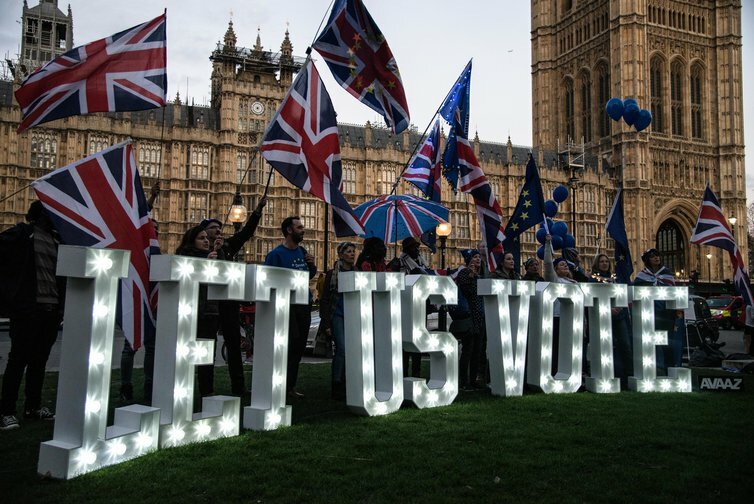 The People’s vote campaigners need to directly address issues of democracy, contradiction and consistency – something philosophy has usefully grappled with. Calls for a second referendum on EU membership have been growing louder without, however, properly making the case for it. They fail to address the heart of the matter: how to show adequate respect for the democratic result of the 2016 referendum on EU membership whilst making the case for a new referendum. Ultimately, the case for a second referendum requires a compelling justification for challenging the first. The real question that the proponents of a people’s vote must confront is whether the democratic process can be suspended without undermining its legitimacy. They need to be able to square the circle, because a democracy worth the name depends on the consistent application of its rules. The risk of violating consistency is obvious: if one democratic vote is sacrificed for some higher ideal, will not that vote be superseded by yet another vote? If not properly justified, such a logic would create a spiral of mistrust that ultimately undermines the foundations of democratic rule. Making a case for a people’s vote requires justifying an exception to the consistent application of democratic rules. The force of consistency is so great that no escape from it seems possible, yet it is precisely because of this reason that such an attempt must be made. Wittgenstein grappled with this problem in a different context but may point to the solution. Initially he worked on the premise that thought beyond consistency was illogical and what was illogical, unthinkable; for God, he thought, could never create something that is contrary to the laws of logic. He saw this as an unconditional surrender to a mysterious force but became increasingly suspicious of it when he realised how consistency could lead to a paralysis in thought and action. It is for this reason that he made a U-turn in his thinking, rebelling against Aristotelian logic, declaring the hope that one day mathematicians could break free from consistency. Not in vain. What seemed unthinkable then has now become a reality, where contradiction has become part of a new branch of logic – paraconsistent logic – meaning that consistency is no longer absolute. A Wittgensteinian rebellion against the fanatical application of democratic rules is what is required for temporarily suspending them without undermining the continuity required for democratic life. We may have reached the point where the dangers of the dogmatic pursuit of consistency are greater than those of breaking free from it, given the exceptional circumstances. The unprecedented developments following the 2016 referendum have shaken the British political system to its core and paralysed democratic life, causing derision and disbelief, real pain and growing anxiety. Whilst they demonstrate the exceptional price that Britain has been willing to pay to preserve the democratic process, they can at the same time qualify as extraordinary conditions requiring extraordinary measures, including the suspension of the democratic rules in order to overcome the paralysis caused by them. In addition to challenging May’s attempt to use such a state of exception in order to side-line Parliament, the people’s vote must invoke the state of exception to put it to the people – call it a “people’s state of exception”. Acknowledging that such a referendum is an exception may be key to restoring normal politics and democratic life in the country. It is arguable that the conditions are ripe for accepting such an exception to the democratic process, without which another referendum on EU membership would be either impossible or dangerous. It is time for supporters of the people’s vote to make a compelling case by confronting the dilemma head-on and the inevitable trade-offs that flow from it, rather than skirting round the question as they have been doing. This inevitably sets a precedent, but if adequately justified, it sets a meaningful precedent. It points to the regenerative and reflective capacity of the democratic process, by demonstrating that democratic peoples are not hidebound by the fanatical application of rules: they have the ultimate power to make and remake the rules by which they choose to govern themselves.